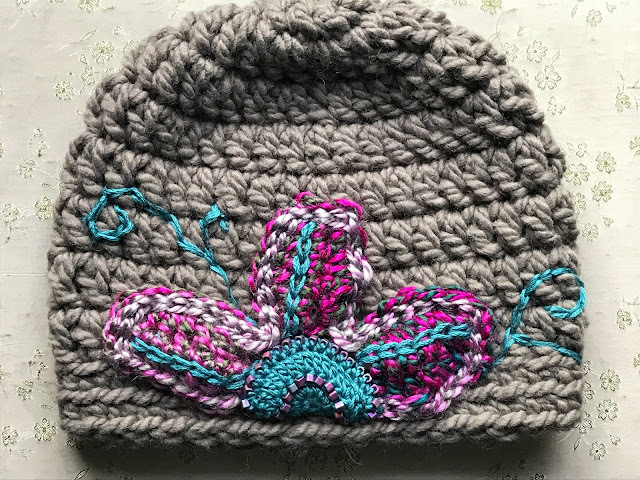 I haven't crocheted that many hats, but this year I decided to change that. 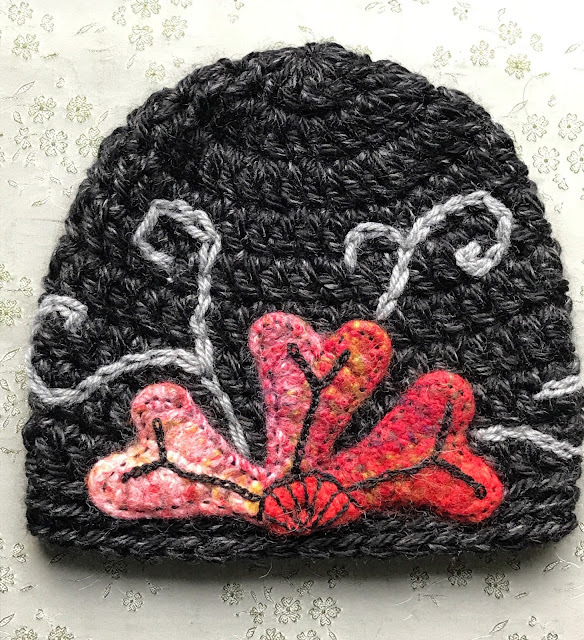 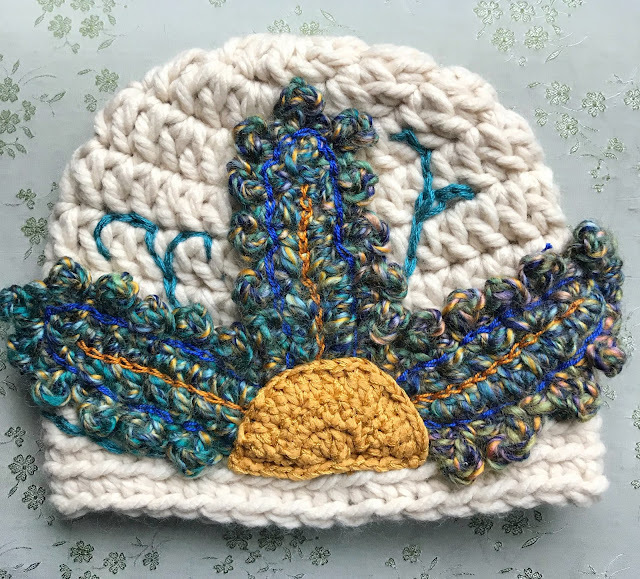 I've been eyeing the gorogeous embellished winter hats in the Sundance catalog for years and wanted to see if I could make something in the same style. 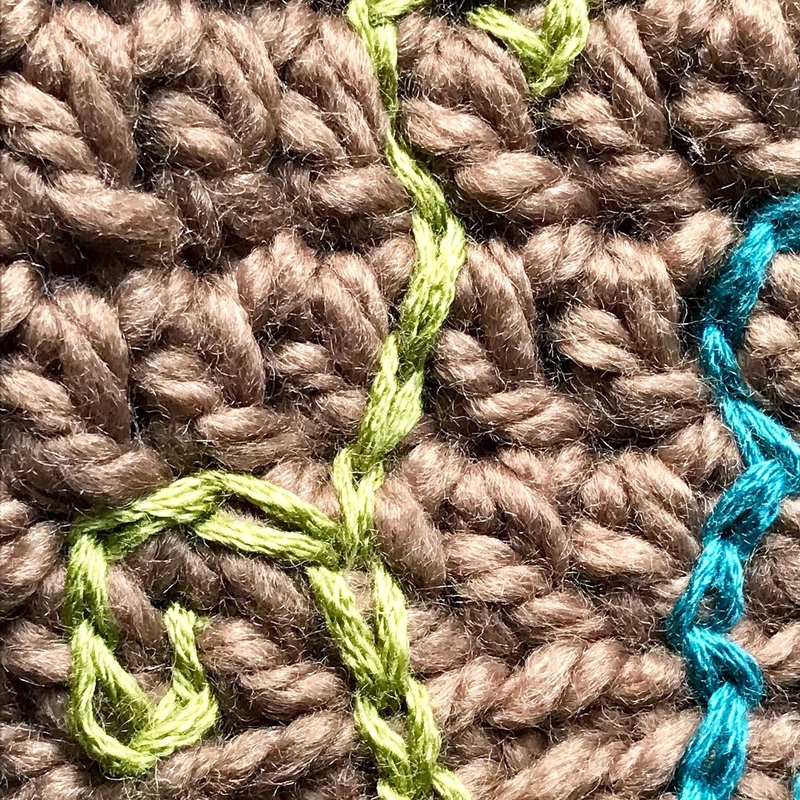 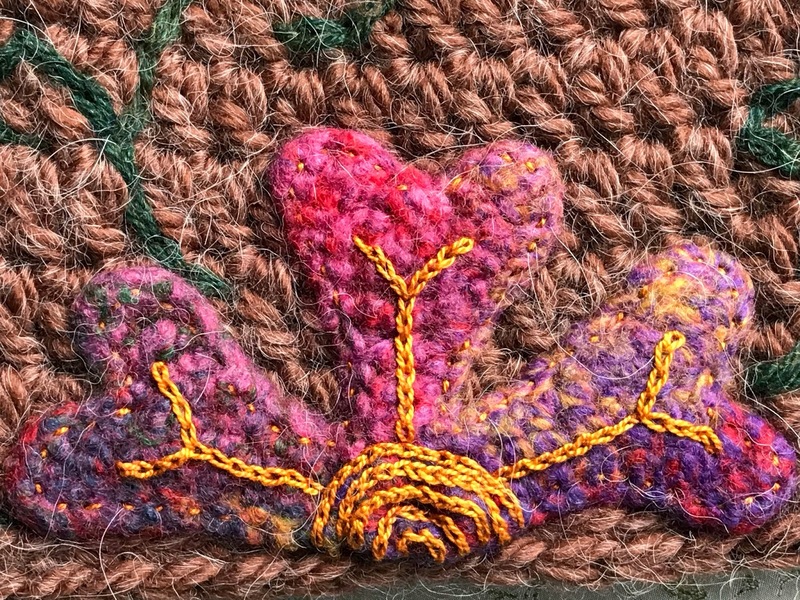 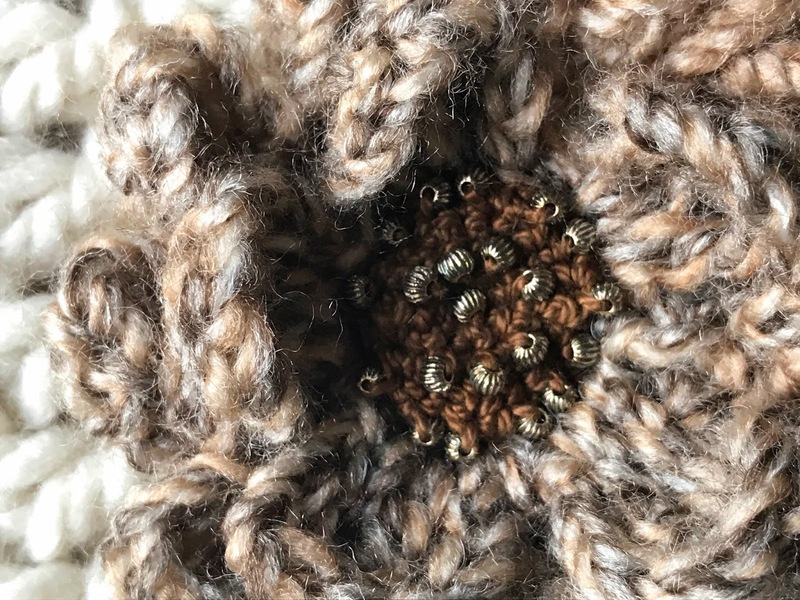 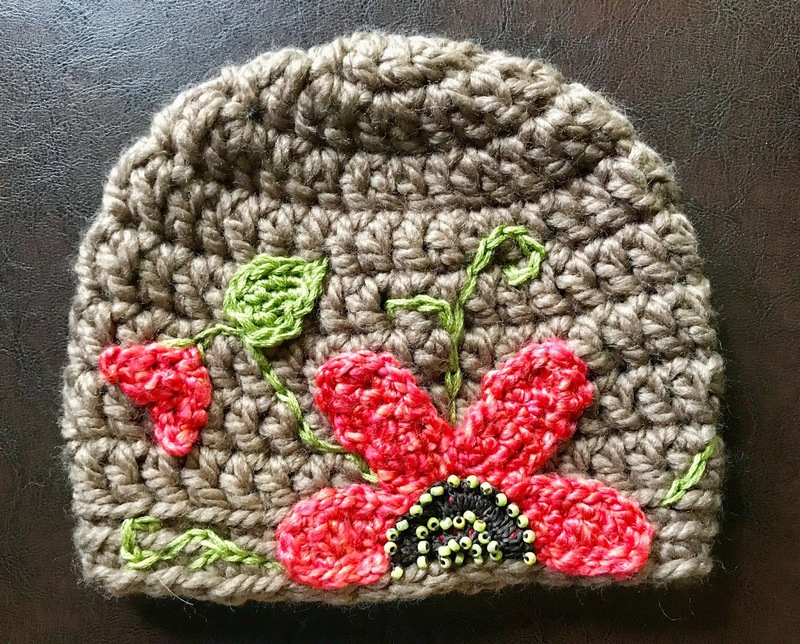 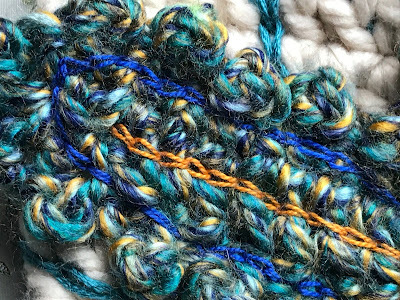 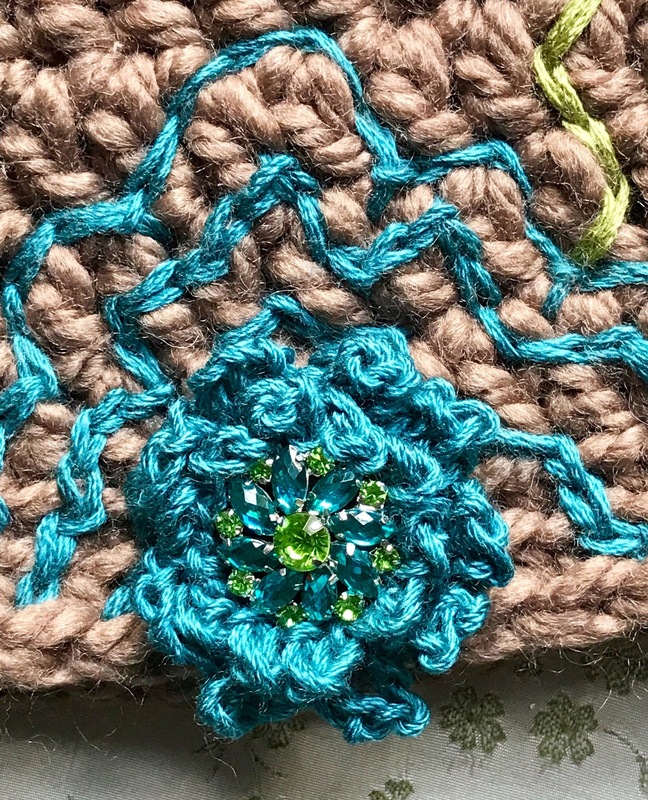 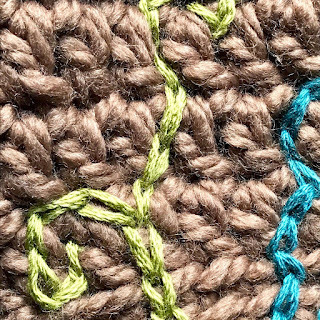 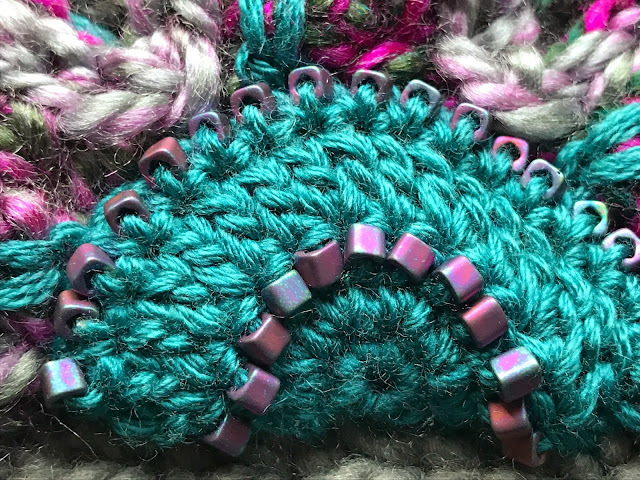 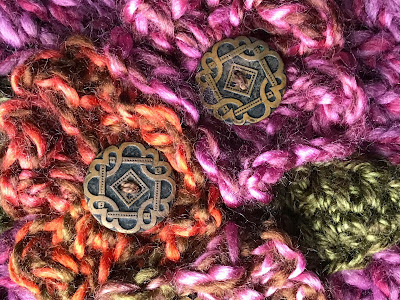 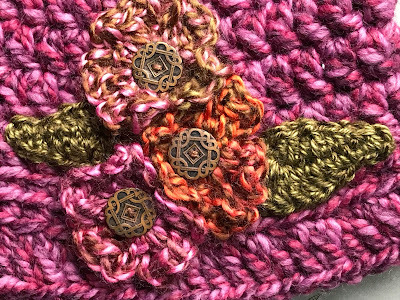 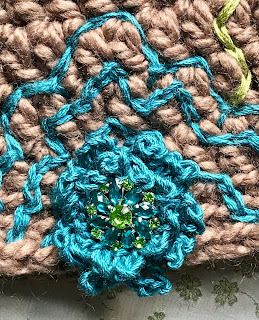 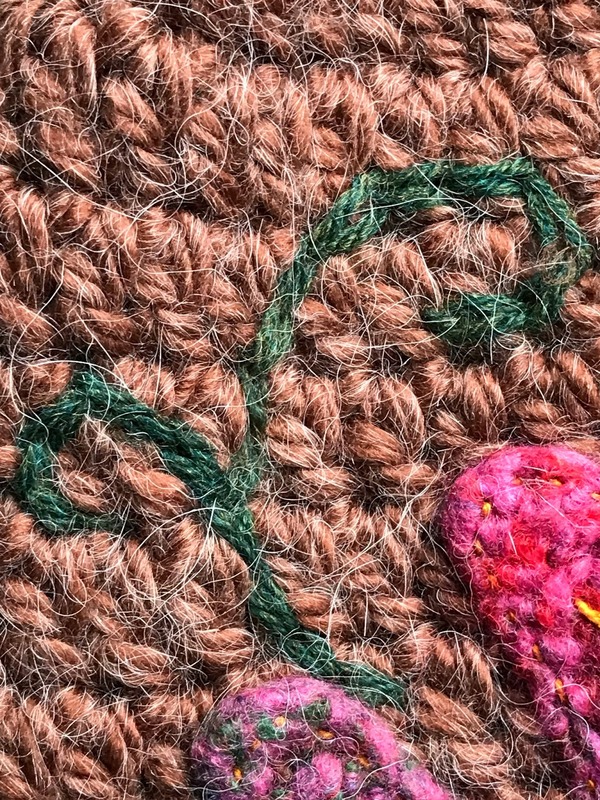 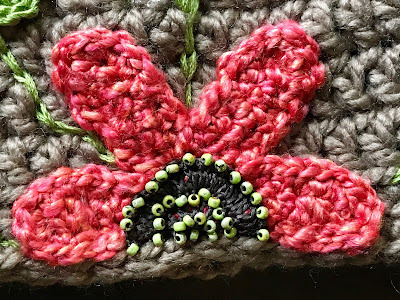 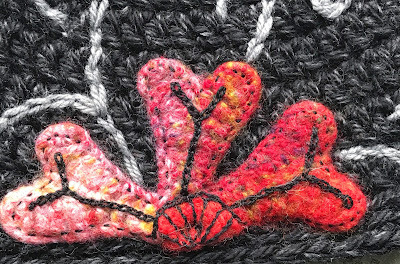 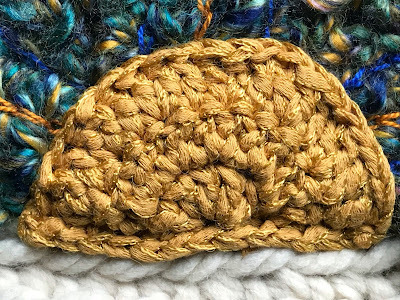 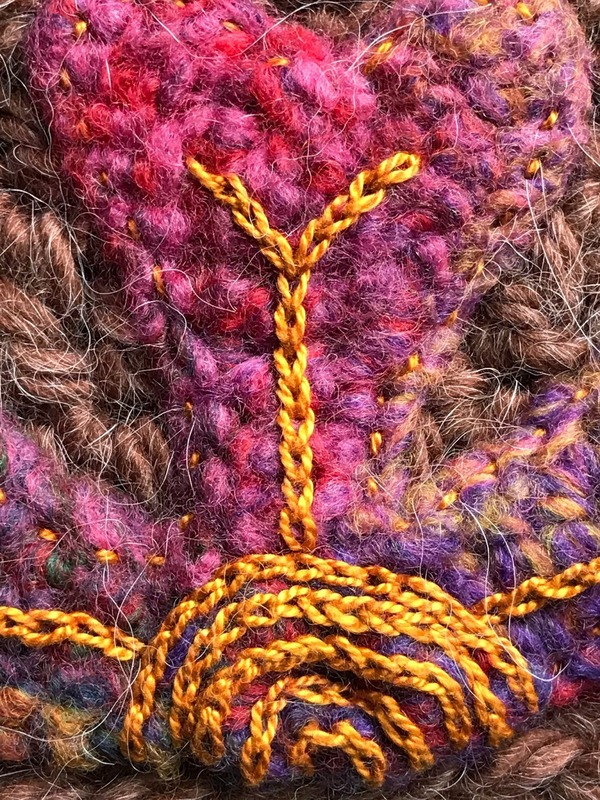 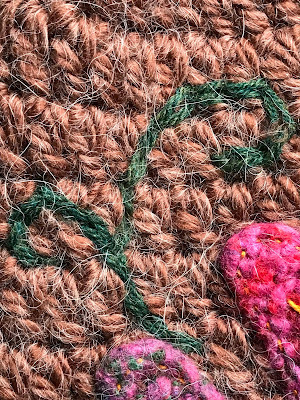 If you've followed my work, you know that I enjoy adding embellishments to more basic crocheted items, in order to create one-of-a-kind pieces. 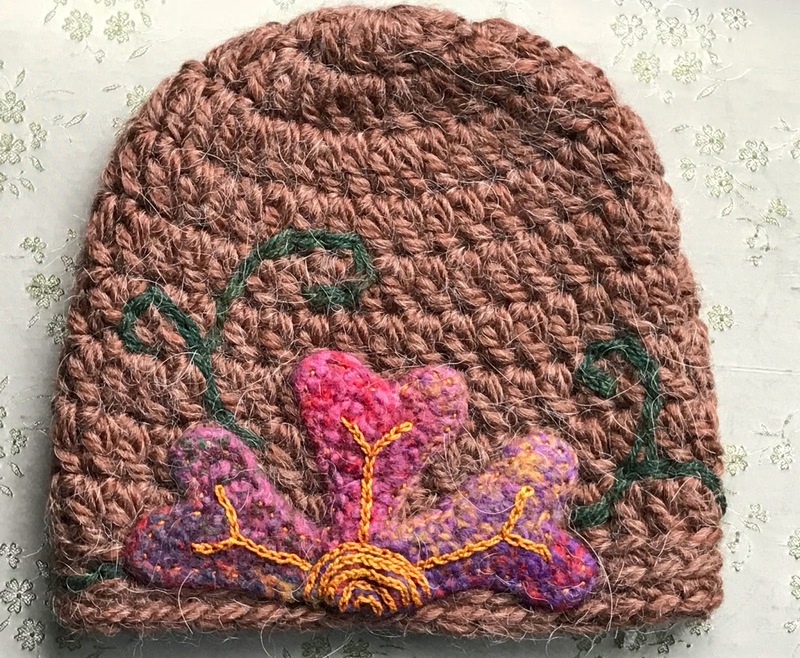 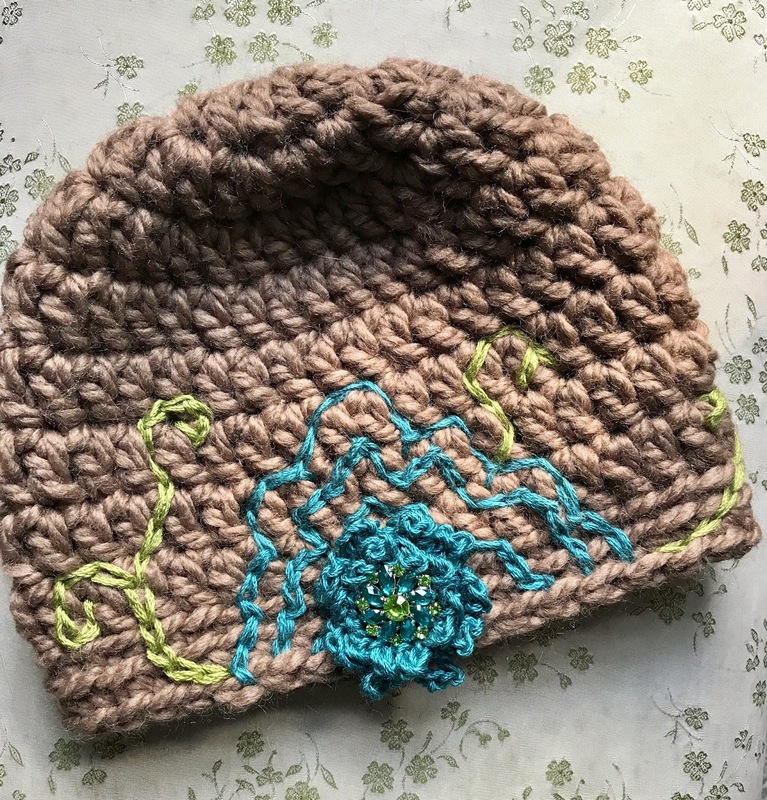 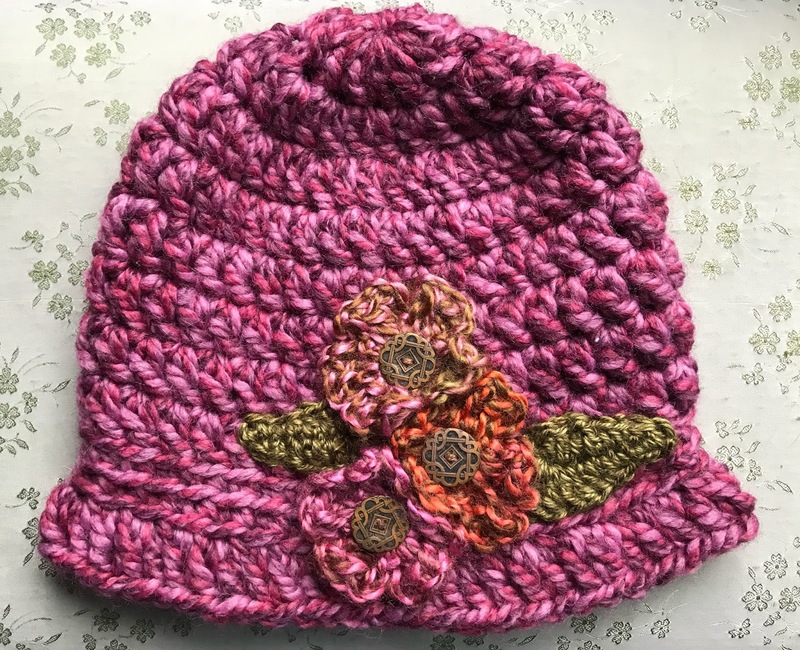 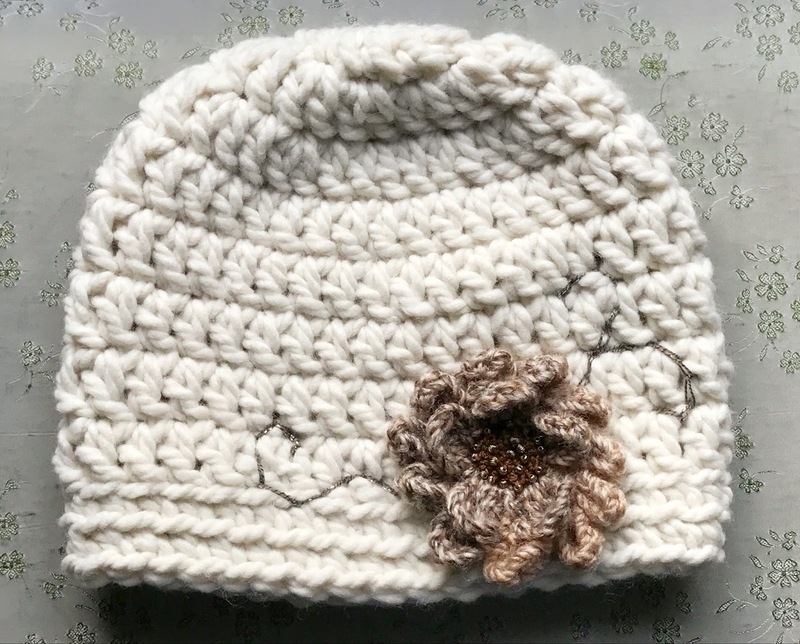 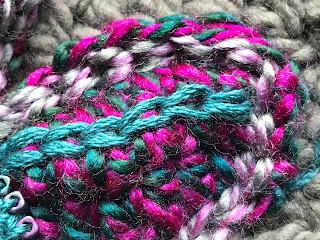 So, I started with a simple and very well done beanie pattern, the 30 Minute Basic Beanie -- a free crochet pattern by Diane Service of Pixiebell. 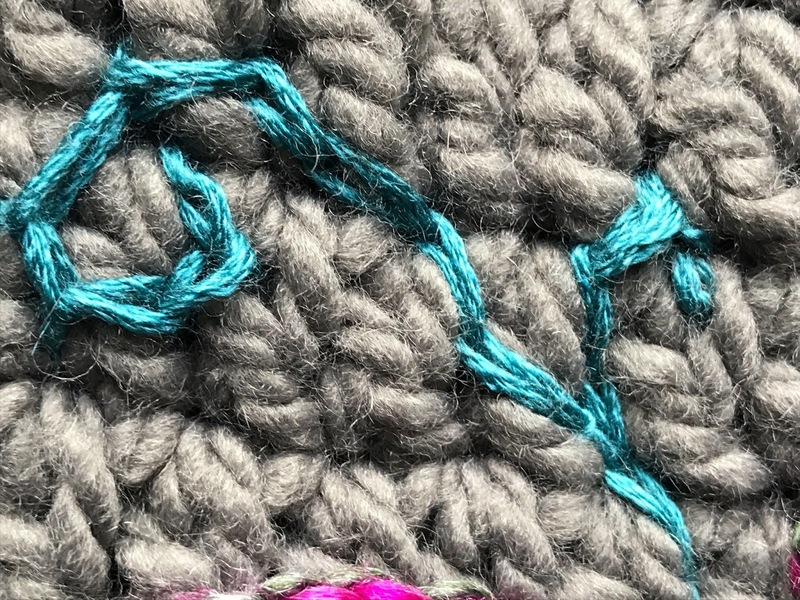 I really like this pattern! 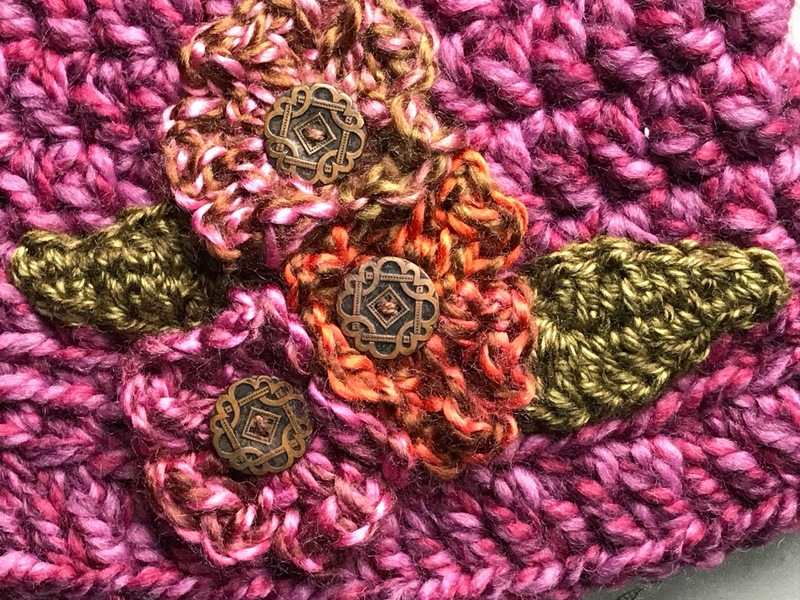 I couldn't make it in 30 minutes. 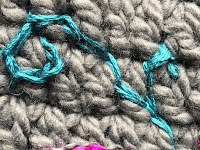 I love to crochet, but I am not the quickest stitcher. It took me about an hour. I made the beanie in a few different super bulky yarns (such as, Lion Brand Wool Ease Thick & Quick, Lion Brand Hometown USA, Big Twist Collection Natural Blend, Buttercream Collection Alpaca Solids, and Red Heart Mixology), tweaking the pattern a bit in some cases to maintain correct sizing, or as you'll see below, in one case adding a brim. 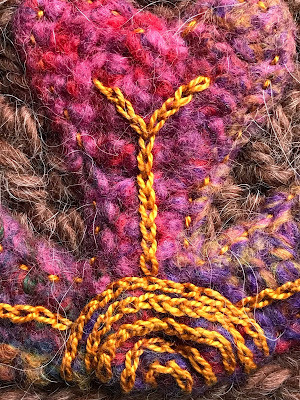 I then used scraps of yarn, beads, felted crochet, and embroidery thread to create different embellishments for each hat. Making these embellished beanies has been a lot of fun. Choosing the materials and creating the design for each one really allowed me to exercise my creative instincts. This is a simple way to make a basic crocheted hat into a work of art, reflecting your own unique style!